This meal is always pretty fun. You get to see what all you have in your pantry or fridge to throw in and make a colorful splash with. Use whatever you want, the more the merrier. Also, you can pour some juice, turn on some Pearl Jam, play with your cat a little and hop on reddit while it all cooks. Now that’s a good deal all together. 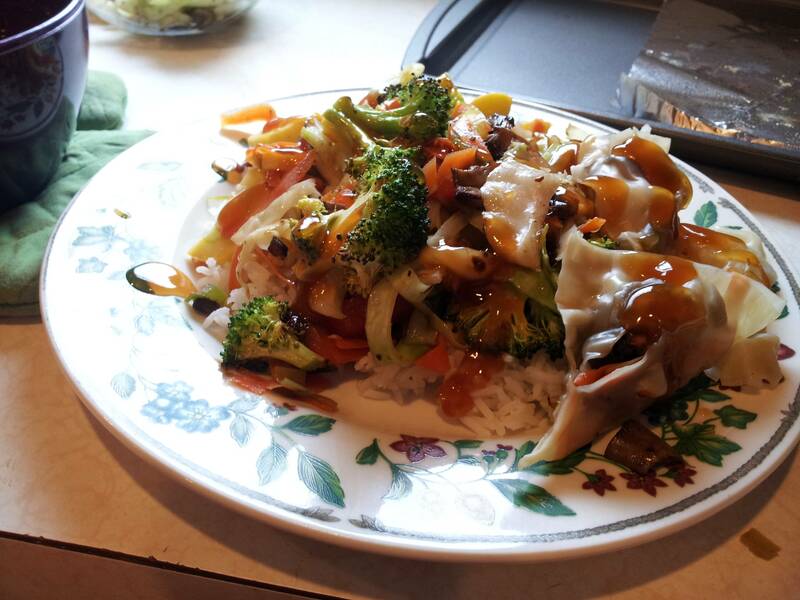 This entry was posted in Recipes and tagged beans, bell pepper, broccoli, cabbage, carrot, cornstarch, jasmine rice, ketchup, soy sauce, squash, sugar, vinegar, zucchini.